As the elections are around the corner and the nation is gearing itself to cast its votes with an unending optimism on its future and incessant faith in democracy, I’m enthused to put across my views on the things we must keep in mind before we head out to vote in 2019. Being an ardent follower of socio-political and economic happenings in the country, I’m reminded of American theologian and author, James Freeman Clarke, who famously said, “A politician thinks of the next election. A statesman of the next generation.” The problem in India is we have too many politicians, with no statesmen at all. In short, we have many Reagans who enrich their tycoon cronies through their neo-liberal policies, but we don’t have even a single Roosevelt to herald a New Deal. All the world over a new chilling truth has started dawning on the minds of the poor and the ordinary. The truth is, the advent of disruptive technologies and globalization has empowered the big businesses to accumulate gargantuan wealth, and as a result, the world is fast turning into an oligarchy. Gone are the days when the economic policies used to be people-centric. Now they are overwhelmingly tycoon-centric. This is happening because the governments are using the single and grossly skewed yardstick called ‘growth’, to measure prosperity. As a result, the governments all over the world came to a strong conclusion that it is only the tycoons who can bring about the growth, and as such providing them with “ease of doing business” is paramount. Due to this shift towards a pro-rich bias, universities all over the world are producing so many Friedmans and Hayeks, who pioneered the neo-liberal economics, and political arena is giving rise to many Reagans who first implemented the trickle-down Reaganomics. And India, which hopped onto this neoliberal bandwagon in 1991, is no exception to this trend. Even we have many “nomics” and currently, the Modinomics is ruling the roost. Now you may ask why I started my discourse with economic matters. For a common man bread and butter issues are paramount. As one of India’s greatest sages Swami Vivekananda had rightly said, “Man is guided by the stomach. He walks, and the stomach goes first and the head afterwards”. The commoners prioritize fulfilling their basic necessities and leading a life of ‘ease’. Therefore, we should be voting to those who can provide us with that “ease of living”. But who will give it to us? We primarily have two alternatives: Gandhi Parivar and Sangh Parivar. We are currently witnessing the rule of the Sangh Parivar, which came to power by making egalitarian and inclusive noises such as “Sabka Saath Sabka Vikas”. Unfortunately, what we see now is the ‘Vikas’ of crony capitalism in the garb of Hindutva. The man who is at the helm, after failing to deliver on his promises, is back to playing divisive politics and appears to be tacitly unleashing the so-called ‘fringe’ to promote his electoral prospects. But can the alternative, I mean the other Parivar, be any better than the current dispensation? It is highly unlikely because Indian politics are increasingly becoming homogeneous and the so-called alternative is not actually an alternative. Highlighting the homogeneity in Indian polities, journalist Arun Shourie famously opined that the Modi dispensation is nothing more than Congress plus cow. When the people elect those who are promising an alternative, the only thing they will get is Modi minus cow. As the political environment has become highly polarized, people who like Hindutva are supporting the Sangh Parivar, and those who oppose Hindutva are rallying behind the Gandhi Parivar relegating the bread and butter issues to back-burner. The fact is when we set aside the cow, they both are same. The same corruption, crony capitalism and apathy will keep haunting the people. What the commoners need now is a political dispensation that can bring back people-centric policies. Unfortunately, the alternative to the two Parivars, over the years, has grown weaker. The democratic left, with its successive defeats in elections, has left a huge vacuum in the Indian politics, and the AAP, which emerged with a big bang on the Indian political scene and raised a lot of expectations among the people, appears to have lost steam thereafter. And the regional political parties, which are no less corrupt and inefficient, will end up supporting either of the two Parivars. In this situation, the people have only one option: bring down the current dispensation and install its rival in the seat. But this is not going to solve the problem. This situation only reminds me what Marx had stated about democracy. “The oppressed are allowed once every few years to decide which particular representatives of the oppressing class are to represent and repress them.” But democracy, being the heart and soul of our nation, can’t be discarded. We the commoners must combat tooth and nail the forces that are bent on hijacking democracy to serve their narrow self-interests. Before 1991, many people would often say if you want to distribute wealth you first have to create it. As the people who said this have managed to amass unimaginable wealth, now is the time for the commoners to assert themselves to better their lives. When the people stay united and assert themselves, the ruling classes will have no option but to obey. People all over the world are turning against the tycoon-centric neo-liberal policies and building mass movements to assert themselves. The Occupy Wall Street protests in the aftermath of the 2008 financial crisis was a slap in the face of the pro-rich ruling classes. The recent Yellow Vests protests in France demonstrated to the world how a staunchly united working class can force the leaders to retreat on their anti-people actions. Even in India, there is a hope. The recent protests by farmers, who fell victim to the widespread agrarian distress, grabbed the attention of everyone and exposed the empty rhetoric of the ruling dispensation. The Dalit protests and the anti-Sterlite protests highlighted that fact that the fight against discrimination and profiteering at the expense of people’s health will be a never-ending struggle. And we, the commoners, especially the working class, need to build more united and powerful movements to educate and mobilize the masses. The hope is, from these mass movements new leaders will emerge, who may be able to fulfill the aspirations of the poor and the ordinary, who seek livelihood opportunities, good education and quality healthcare. The new leadership must emerge from the grassroots level, that too from the mass movements built on bread and butter issues, not from the ruling clans or religious and caste movements. But this is possible only when the people steadfastly stay united and don’t get swayed by the feelings that erect narrow domestic walls that divide them along the lines of caste, religion, region, or language. If they get swayed by them they will get nothing more than cows, shrines, statues and hegemony. And taking advantage of the situation the politicos and plutocrats will have a cakewalk in the garb of attractive slogans and colorful events. As elections are fast approaching, the common people must be wary of misleading narratives that are getting ready to hoodwink them. As the nation will start heading to the polling booths, there will be concerted attempts by the politicos and plutocrats to mislead the people by forcing the objective reality and rational enquiry to go on a holiday and press their colossal PR machinery into service. They will do this to spruce up their images as the messiahs of the masses to either come to power or retain power. Some tycoons have already started pitching in for incumbent regime showering praise it and talking about ‘continuity’. 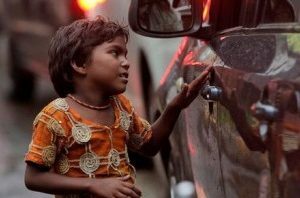 What the poor and the ordinary need is not ‘continuity’ but an enduring ‘change’. These false narratives are what exactly the people must guard themselves against and not get swayed by patently trivial matters. People, instead of voting the Parivars, had better support grassroots leaders who have the ability to build mass movements on people-centric issues. Finally, if the people, especially poor and the ordinary, want a better quality of life they will get it. If they pay even the slightest attention to cow, they will get only cow. This entry was posted in Politics on January 5, 2019 by Dr. Ramachandra Reddy. Finally, people bade farewell to 2018 and celebrated the advent of yet another New Year. Many people celebrated the New Year eve with a lot of gourmet food, plenty of booze and raving mad entertainment. Many of us even made some New Year resolutions to either make a new beginning or to get some things right. 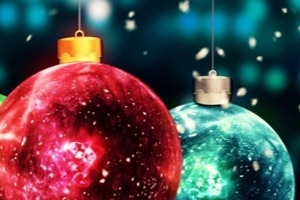 New Year signifies the passing of time. A very precious 365 days are gone by which will never return into our lives. In other words, we got 365 days closer to our deaths. Death is such an insidious thing that it keeps nearing us even while we celebrate the advent of a New Year thinking that it will bring us luck and enable us to break old habits and cultivate new habits. Henry Jackson van Dyke, an American author, educator and clergyman, in one of his best-known poems titled “Time Is” wonderfully depicted the nature of time. Every single word of this poem is so true that we instantaneously start identifying ourselves with them. This poem made me think about the kind of life which I led till now. Upon introspection, I concluded that I waited, feared and grieved a lot to feel the negative impact of time. However, I rarely rejoiced to know the shortness of time. As far as love is concerned, though I loved some things and some people, my hatred for many things and many people did not allow me to derive the full benefits of the positive emotion. Maybe in the New Year, I will be able to rejoice more and ‘love all and hate none’ to improve my emotional health. This entry was posted in Lifestyle on January 1, 2019 by Dr. Ramachandra Reddy. 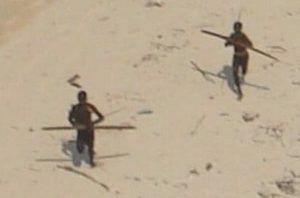 The Sentinelese, who rarely make news owing to their ultra-primitive and fiercely reclusive nature, made headlines after they killed a missionary. The missionary, as per the reports, was planning to establish contact with the tribe and learn their language with an intention to proselytize them. After reading the news, many of us might have felt, “how insane… by refusing to mingle with the outside world they lost an opportunity to work in plush offices, enjoy pizzas and burgers, wear branded garments, live in bungalows, drive around in cars and indulge in selfies and social media clicks”. True, they missed out on all these things. But to this primitive tribe, these things have barely any value. In fact, some expeditions were even made to establish contact with them by luring them with material things, but they did not accept any of them. For them a life lived in harmony with nature is paramount. The aerial view of their island, which looks pristine with lush greenery, is a testimony to the fact that they are the true children of mother nature. They are at least able to breath fresh air, eat natural food and lead a stress-free life that spares them from frequenting hospitals they don’t have. The way they are confronting the outsiders makes it abundantly clear that they are healthy and agile. And the missionary who lost his life was trying to take religion to a place, where there is absolutely no need of it. The entire episode makes me recollect the book I read “Don’t Sleep, There Are Snakes”, written by Daniel Everette, a missionary linguist who undertook an expedition to the Amazonian rainforest to convert a primitive tribe called, Piraha. He went there to learn their language and translate scriptural literature into it to convert the tribe. One day, Daniel, to persuade the tribesmen to convert, shared an emotion-laden personal story with them. He told them that his step mother’s suicide made him move towards God. Then, the tribesmen, instead of expressing sympathy with him, said, “She killed herself? Ha ha ha. How stupid. Pirahas don’t kill themselves.” That made Daniel realize the futility of his mission and slowly turn into an atheist. These tribes, who are primitive, don’t worry about death and afterlife. As they don’t even worry about their souls, they don’t seek them to be saved. Normally primitive tribes are more rational than the so-called civilized people. They usually believe in those things which they can perceive with their sense organs and don’t waste their time in speculative theology. As the tribal societies are mostly egalitarian, they neither produce powerful ruling classes nor do they follow organized religions with powerful clergy, who aspire to control the society through deception to serve their narrow self-interests. We, the so-called civilized people, until some decades ago, identified each other as belonging to a certain religion, caste, race or nationality. Now, in this 21st century, with the advent of disruptive technologies and globalization, our identities have been further reduced to that of a consumer, a laborer, a devotee, a patient or a voter. As a consumer, you need to go on a spending spree on various occasions such as Black Friday, Cyber Monday, Big Billion Days sale etc. to keep the consumer demand up to promote growth even at the expense of getting trapped in debt. As laborers, we need to labor under the constant and continuous threat of cost-cutting, automation and offshoring. As devotees, we are supposed to stay pious and remain loyal followers of religions selling our souls to the clergy. As patients, we need to wait outside a physician’s chamber to find an elusive cure for the lifestyle diseases we get after using gadgets that promote sedentary life and consuming gourmet junk food that makes us obese. And, as voters, we need to stand in serpentine queues with an infinite patience and unceasing optimism that one day our politicos will dissociate themselves from their ultra-rich cronies and think about the poor and the ordinary. The primitive tribal people need not worry about all these things as their identity always stays constant and they always remain humans. They don’t need to enter into a class struggle to oppose exploiters, they need not endure consumerism-induced relative deprivation, they don’t have to torment themselves with the feeling that their religion is in danger, and they need not have to live under the shadow of lifestyle diseases such as diabetes and hypertension. Their lives, though under constant threat from various natural forces, are mostly blissful. Therefore, the rest of humanity must let them live the way they are living. As they continue to exist, they will keep reminding us of the things we lost by enslaving ourselves to the very things we created such as money, religion and technology. This does not mean the humanity should set aside all its achievements and get back to its primitiveness. Things, however, can’t continue moving at the same hectic pace as they are now, due to its non-sustainability. No amount of denial can conceal the truth that the threat of climate change is looming large and the prevalence of lifestyle diseases has reached epidemic proportions. So, humanity, one day, must give up its greed and adapt itself to sustainable living practices. These reclusive tribal people, with their frugal and eco-friendly lives, will keep inspiring us to realize these hard truths. This entry was posted in Lifestyle, Society on December 12, 2018 by Dr. Ramachandra Reddy. Economics touches every aspect of our lives, yet most of us pay scant attention to it. Paul A. Samuelson, the Nobel laureate and author of the most well-known book on economics, declared, “I don’t care who writes a nation’s laws, if I can write its economics textbooks”. Economics, being the language spoken in the corridors of power, empowers those who understand its intricacies. Conversely, those who fail to comprehend the jargon-laden talk of the economists stay powerless as they are unable to deduce the economic policies formulated in the highest spheres of power. In India people are clueless why the 3Ps – politicians, plutocrats and public servants – always talk about “ease of doing business” aka deregulation and are hypervigilant about the movement of stock market indexes. Nor do they have any idea why are they obsessed with the fiscal deficit and keep harping on maintaining fiscal austerity. They forever remain under the impression that their leaders are doing it in the best interests of the entire society and are hardly aware of the fact that deregulation, rapacious speculation and socialization of corporate losses are the things that are responsible for transforming democracy into an arrangement that is ‘of the 1%, by the 1% and for the 1%’. As the ordinary people simply don’t know how to safeguard their economic interests, it has become easy for the people at the helm of affairs to hoodwink them. Taking advantage of the situation, the 3Ps, who are brought together by the three forces – power, capital and campaign financing – continue to have their heyday. The politicians and the economists are so impressed with laissez-faire economics that they seem to have come to the conclusion that if they can proactively promote the interests of the plutocrats, who constitute the 1%, the supposedly generous ‘invisible hand’ takes care of everything else, enabling the 99% to lap up the ‘tricked down’ things. The 99% are not aware of the fact that our leaders are only bothered about the man-made capital and they left all the other capitals, namely human capital, natural capital and social capital to the free market. The free market, however, is only interested in man-made capital, and when the other three capitals are entrusted to it, it fully commodifies them which results in further marginalization of the underprivileged. The market forces, with their excesses, have already caused irreparable damage to the three capitals. They commercialized health and education, which groom the human capital. They poisoned all the natural capital by mainstreaming the highly unsustainable consumerist culture. And, by paving the way for concentration of wealth in a few hands, they caused the waning of a sense of identity, trust and equality of opportunity, which constitute social capital. The politicians, taking advantage of the uninterestedness and lack of awareness prevalent among the people on economic issues, manage to deflect their attention onto trivial yet potentially incendiary topics as part of their social engineering efforts to reap electoral benefits. And, in the process, they harm the social fabric of the society by turning our pluralistic ethos, which are undoubtedly our biggest strength, into a major vulnerability. Our politicos, though they pose as the messiah of the masses during their electioneering, promote full throttle the interests of the big capital once in power by giving a big push to the neo-liberal economic policies such as tax cuts, deregulation and dilution in labor and environmental laws, for full four years. It is only after they suffer a few electoral reverses on the way to general elections, they realize that their social engineering efforts have lost steam and started yielding diminishing returns. And the realization makes them comply with the political business cycle, forcing them to introduce some big-ticket welfare schemes. These schemes, which are introduced with much fanfare, are mostly implemented half-heartedly only to be diluted slowly to cause their eventual demise. The economics that is taught in the reputed universities, where most of India’s well-known economists were trained, is neoclassical economics, which is replete with mathematical equations that are detached from human psychology and the real-world situations. It appears that in the garb of complexity the vested interests want to promote a particular type of economic narrative that fits the requirement of the ultra-rich. Three undergraduate students of University of Manchester, who got disillusioned with the kind of economics taught in the universities in the UK, expressed their dissent through their book titled ‘The Econocracy: The Perils of Leaving Economics to the Experts’, in which they questioned the monopoly status of neoclassical economics in the curriculum. They opined that “the monopoly of a particular and narrow form of economics, and the way the subject matter is taught (‘pedagogy’) amount to nothing less than the dictionary definition of indoctrination”. We should not forget the fact that the neo-liberalism advocated by economists such as Milton Friedman and FD Hayek, who sowed the seeds of concentration of wealth and working-class deprivation, is closely related to neoclassical economics. Now the question arises as to why the prestigious universities all over the world teach economic theories that serve the interests of the big businesses? The answer lies in the fact that these universities receive donations from the plutocrats who own these big businesses to their endowments. With some exceptions, even the media, which is mostly owned by the big businesses, promotes the neoliberal economic thought very aggressively to make it mainstream. Therefore, an overwhelming majority of the institutions that exert major influence on the society are collectively promoting the economic thought that serves the interests of the plutocrats, which is detrimental to the interests of the commoners. If we want to create an inclusive society, we need to incorporate alternative theories in the economics curriculum and even make it comprehensible to the commoners. Thomas Piketty’s ‘Capital in the Twenty-First Century, which brought inequality back onto the center stage, made a marvelous attempt in that direction. It’s high time the civil society gave a serious thought about the economic direction our country should take and how to incorporate the ideas such as equality of opportunity and sustainability into the economic thought. This entry was posted in Economy and tagged inclusive economics, neoliberal, thomas piketty on September 23, 2018 by Dr. Ramachandra Reddy. The brutal killing of thirteen unarmed civilians in Tuticorin, who were protesting against the toxic Sterlite Copper plant, is extremely serious in nature. It is a clear instance of state’s reckless and depraved disregard for the lives of its own people and thus qualifies to be termed as state terrorism. It appears that the government is fighting on behalf of their plutocrat cronies to safeguard their ‘ease of doing business’, and the people are fighting for their ‘ease of living’. 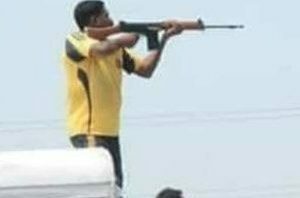 Here is a tribute to the victims of police firing in Tuticorin. the state snuffing out lives whom it is supposed to protect. brought out the ugly and monstrous side of the state. to give ‘ease of doing business’ to its tycoon cronies. violate labour laws and to usurp the natural resources. to protect the ‘ease of living’ of their fellow humans. and to enable them save their natural resources and environment. it got hijacked to become ‘of the 1%, by the 1%, for the 1%’. till the society is transformed into an oligarchy, into a tycoon fiefdom. people queue up and exercise their franchise to get bullets in return. the only way out is democratic deliberation and political confrontation. and spare a thought for those who breathed their last fighting for our rights. by showing that we are the masters and oligarchy is only their pipe dream. 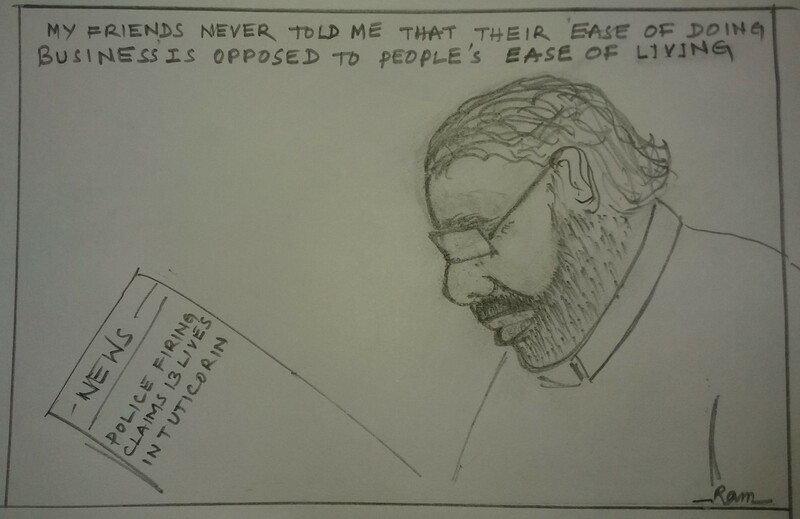 My thoughts on the democide in Tuticorin in the form of a cartoon. This entry was posted in Society on May 27, 2018 by Dr. Ramachandra Reddy. How BJP’s ‘Swadeshi’ morphed into neo-liberalism? Those were the days when I was living in the famous temple town, Bhadrachalam. I was an undergraduate student in the local government degree college. I was an active member (a Swayamsevak) of the Rashtriya Swayamsevak Sangh (RSS) and would attend Shakha wearing Khaki Knickers on an almost daily basis. One day they distributed some leaflets in the Shakha and explained to us about the importance of getting back to Swadeshi. Those leaflets were published by an organization called Swadeshi Jagran Manch affiliated to the RSS. They said it is our responsibility to bring about awareness among the people about the need of patronizing the goods manufactured by the Indian companies. At that time I got attracted towards the idea and enrolled myself in the campaign. I, along with a senior Swayamsevak, visited many villages to distribute those leaflets and tell them about the need of using our Indian products to attain economic self-sufficiency. The activists of SJM would always tell us that they are against the Foreign Direct Investment (FDI) and advocate self-reliance. The Parivar leaders, however, would regularly hit the headlines by sporting the hugely popular French-made Reynolds pens and struggling to explain their double standard. This swadeshi campaign continued till the BJP came to power. Thereafter, I did not hear much about it. A few days ago, while I was reading a newspaper, I came across a news item stating that the Swadeshi Jagran Manch, which sank into oblivion for a long time, organized a protest in Delhi opposing the Flipkart-Walmart deal. They say that the deal adversely affects the livelihoods of the millions of merchants, who run brick and mortar stores and may cause widespread unemployment. This news surprised me a lot. It made me wonder whether the Sangh Parivar has any economic policy at all. Before they came to power they advocated swadeshi and self-reliance and would indulge in sloganeering stating that “we want computer chips, not potato chips”. And after coming to power, they installed Modi, one of the foremost darlings of neo-liberalism in the seat of power. Modi has been implementing his Modinomics, which is strikingly similar to neo-liberal Reaganomics pioneered by Ronald Reagan. He has been pushing the so-called economic reforms introduced by the Congress government at a breakneck speed. Recently the Forbes magazine declared Modi as one of the most influential leaders of the world, along with Donald Trump, Vladimir Putin, Jeff Bezos, Mukesh Ambani and Pope Francis. If you closely observe the combination, we get to know that politicians, plutocrats and clergymen continue to rule the world leaving commoners no place. Look at the modus operandi of Modi. 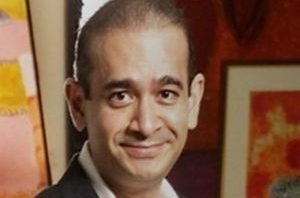 He kept Indian economy’s doors wide open for FDI, diluted labour and environmental laws, gave a huge bailout to the corporates in the name of bank recapitalization, announced corporate tax cuts, and leaving no stone unturned to attract foreign direct investment. Even when he was the Chief Minister of Gujarat he organized the Vibrant Gujarat Summit amidst much fanfare to attract the foreign investors. 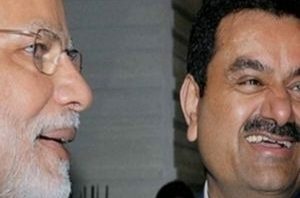 It is a well-known fact that Modi and tycoons (whether domestic or foreign) are just like Siamese twins. Modi gives them ‘ease of doing business’ and the tycoons give him the ‘ease of campaigning’. And from the marriage of the ‘Hindutva’ Modi and ‘corporate’ tycoons, an offspring called ‘corporate Hindutva’ was born and ruling the nation unhinderedly. Now, who is Modi? Wasn’t he installed by the RSS? Wasn’t he an active member of RSS before he entered politics? Didn’t he know about the Swadeshi Jagran Manch and its ideas? He knows everything. And he does what he does in spite of knowing everything. The thing that we all should know is the Sangh Parivar people use each and everything they can latch on to promote themselves. They don’t have any specific policies, they are not concerned about people’s welfare and they don’t even bother about Hinduism or the nation. They just use all these things to promote their toxic and worn out ideas with an aim to promote themselves. You might be wondering after burying Swadeshi and indulging in empty rhetoric in the name of Make in India, what is the need for Swadeshi Jagran Manch to hit the streets now. It is exactly because the BJP is mostly supported by the upper-class people, especially the traders, who are either rich or ultra-rich. There are many apprehensions among the traders that Flipkart-Walmart deal may adversely affect their prospects. Therefore, sensing the discomfort among their electorate, they stage-managed this demonstration just to create an impression that they continue to side with the traders. The Parivar people are blatantly fork-tongued and practice rampant double standards. When they face Hindus they say “Jai Sriram” and promise a Ram Temple. 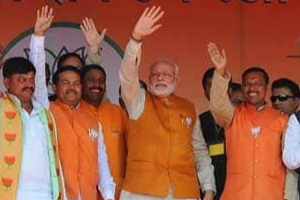 And while campaigning in Meghalaya they promise free trips to Jerusalem. When Modi goes to Davos he gets photographed with Nirav Modi and talks about ease of doing business. And when he enters campaigning mode he repeatedly reminds people that he is the son of a Chaiwala and delivers attractive slogans which so far proved to be nothing more than an empty rhetoric. It is increasingly becoming evident that these people neither have an ideology nor do they have a specific policy to bring any improvement in the lives of the people. They just want to exploit the inherent emotions among the people and hoodwink them to serve their narrow self-interest. To tap these emotions they use 3 Hs (Hindi- upper caste Hindu and Hindustan). The people who voted for the Modi-led BJP government expected that he would improve their lot. However, his rule proved that he is no better than the UPA regime led by the ma-beta and it only added some useless things such as ‘3Hs and a Cow’ to hoodwink people. For now, the Swadeshi Jagran Manch is dormant. It, however, may resume its operations if Modi government gets voted out of power to create trouble for the next government. This entry was posted in Economy on May 12, 2018 by Dr. Ramachandra Reddy. The town of Davos in Swiss Alps hosts the annual World Economic Forum (WEF), which has, over the years, emerged as the favorite destination of the politicos and plutocrats, accompanied by high profile journalists and economists, to deliberate and come up with ideas on how to transform this mother earth into their fiefdom. This year, our Prime Minister, setting aside his self-proclaimed common man status for a while, became a ‘Davos Man’ and freely mingled with “fatcats in the snow” who lord over the globalized neoliberal world. He spoke exaltedly about Indian culture in Hindi in compliance with the ideas his party advocates – Hindi-High Caste Hindu-Hindustan. Our Prime Minister, who came to power claiming himself to be the messiah of the masses, has always been a 100% politician. When he addresses the masses on the eve of elections he repeatedly reminds the electorate, who mostly constitute the poor and the vulnerable, of his self-proclaimed ‘Chaiwala’ background, and when he addresses the CEOs he quickly changes his stance to state “ease of doing business is ease of living” implying that only tycoons are entitled to ease of living and others are doomed to lead their lives laboriously by struggling to earn their livelihoods. He says common man does not want sops but conceals the fact that his fat cat industrialist cronies want so many sops in the form of deregulation, tax cuts, incentives and bailouts, which he has either been giving them or promised to give them for the last three and half years on the pretext of ‘reforms’. At Davos he spoke eloquently about a borderless world conveniently forgetting about the divisive fences his government has erected through the tacit approval of the communal activities carried out by Hindutva forces back home. 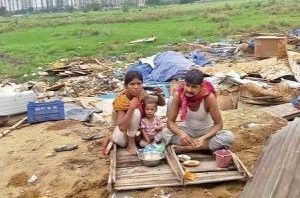 He even mentioned “Vasudhiva Kutumbakam” meaning ‘the world is one family’, ignoring the fact that a silent majority which is part of the family called ‘bharatvarsh’ are leading squalid lives suffering abject poverty paving way for an unending accumulation of wealth for the super-rich. Any efforts to extend a helping hand to them by improving the social infrastructure through public funding of hospitals and schools are spurned by branding them as “reckless populism”. His advisers repeatedly announce that their boss is not a populist. So it would be better if the PM implements “Vasudhiva Kutumbakam” first at home before pitching for its universal implementation. Our PM is pushing the neoliberalism with a missionary zeal at a time when the people all over the world are increasingly getting exasperated with the same and there is an intense backlash against it. ‘Occupy Wall Street’ and the emergence of right-wing politics are the testimony to the fact that jobless growth and ever widening economic inequalities are emerging as the most potent sources of discontent. The modus operandi of neoliberalism is the wealthy west, represented by the institutions such as the World Bank and International Monetary Fund (IMF), extend credit to third world countries taking advantage of the widespread poverty prevailing in them to impose Structural Adjustment Programs (SAPs). To meet their external debt service obligations these third world countries have to export more to earn the much needed foreign exchange. When the third world tries to export, the wealthy west, especially the United States, erects protectionist barriers forcing them to get entrapped in perpetual debt. They also force them to throw the doors of their economies wide open to the western multinational corporations so that they can freely exploit the natural resources and cheap labor present in them. That is how exactly this neoliberal borderless world works. The obsession of policy makers with private investment, fiscal deficit and exports is working against the interests the commoners and have become a golden goose for the rich. In the name of fiscal prudence the role of the government is reduced paving way for privatization of everything. In the name of encouraging private investment the entire governance is revolving around catering to the demands of the corporates through pushing the ‘ease of doing businesses’. And in the name of export promotion they are encouraging sweatshops and dilution of labour laws, which have resulted in widespread exploitation of the working class. The neoliberalism is actually a neo-imperialism, which thrives on the sweat and blood of the third world and the PM wants to push India deep into this quagmire. The pursuit of GDP growth has become an obsession of our politicos. When the GDP growth slows down they say they need to reform more. Then they further deregulate offering more tax cuts, more bailouts and more incentives. This reform process is never ending and it appears that it will end only after the last chunk of natural resources and the last rupee falls into the hands of the plutocrats and this nation is turned into a perfect oligarchy. The signs of this are becoming increasingly perceptible and the latest Oxfam report, which stated that India’s richest 1% garnered as much as 73% of the total wealth generated in the country in 2017, proves beyond doubt that oligarchy has already been established in India. Modi’s botched up implementation of the regressive GST is also contributing to the deterioration in the economic condition of the masses. Modi, while showing great enthusiasm to push the so-called reforms to fully embrace neoliberalism, also quoted Gandhiji’s words, “this world has enough to satisfy our needs but does not have enough to satisfy our greed”. The US, which is the epicenter of neoliberalism stands as a living testimony of how over consumption, especially credit fueled consumption, forms the very backbone of the highly unsustainable neoliberal culture. The neoliberal economic system advocates more production and more consumption. The moment one of them slowdown the GDP numbers fall and the casinos called stock markets slump. When the economy does not perform well the only thing politicos, plutocrats and their advisors say is the current dose of reforms is highly inadequate and they need to introduce more reforms. In an essence it is a self-defeating rat race which will end up a disaster one day. And it is surprising to see that PM Modi talks about frugality and sustainability even while pushing India into the neoliberal quagmire, which is the very anathema of the Gandhian ideals. 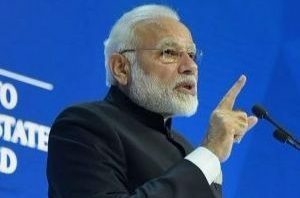 All in all the speech delivered by PM Modi is laden with contradictions and his enthusiasm to appease both commoners and super rich is not going to succeed. Neoliberalism and stock market-centric economic policies only aggravate the suffering of the commoners. This entry was posted in Politics on February 6, 2018 by Dr. Ramachandra Reddy.